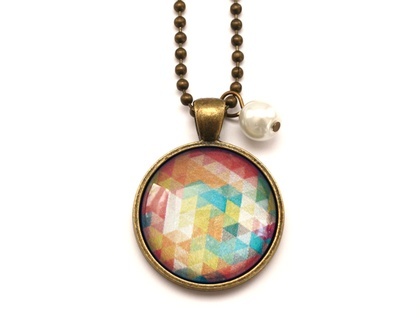 This funky necklace features a bright geometric design and is adorned with a delicate white pearl. It includes many bold colours making it a very easy to match piece. 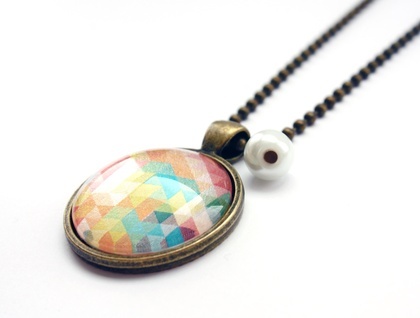 The image sits under a 2.5cm glass dome and is set in a solid vintage brass setting which hangs from a 75cm vintage brass ball chain, sitting just below the bust line. 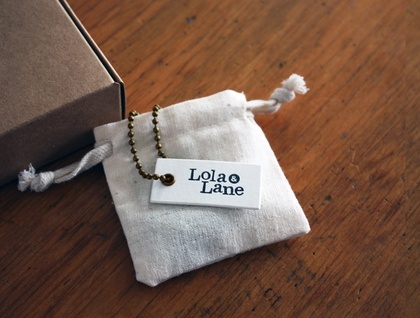 All pieces come ready for gift giving in an eco cotton drawstring pouch and each order is gift boxed.